London 27 November 2015: Five global industry leaders have been chosen to join the International Communications Consultancy Organisation's (ICCO) International Hall of Fame. 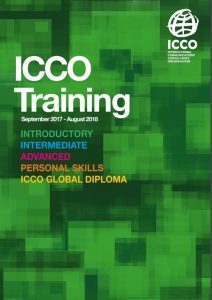 Introduced in 2003, ICCO's Hall of Fame represents an exclusive recognition of the exceptional progress its members have made towards the internationalisation of the public relations industry. The inductees are Kathy Cripps, former President, PR Council; Ray Kotcher, Senior Partner and Chairman, Ketchum; Barry Leggetter, CEO, AMEC; Richard Houghton, past ICCO President and Agency Doctor; and Arun Sudhaman, Editor-In Chief, Holmes Report. These people have enhanced the discipline and expanded the scope of public relations activity globally. The group was inducted into the Hall of Fame following the official announcement at the inaugural ICCO Global Awards in London on 26th November.